IVR, FOD, Auto attendant - Cosmact Ltd. 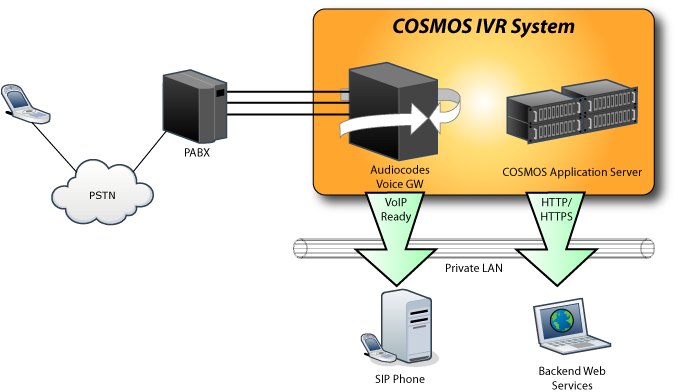 Typical deployment methods of Cosmos SDP are interactive voice response (IVR), Fax-on-demand (FOD) systems. Our IVR systems have been deployed to many customers range from government bodies, public utilities, enterprises and service providers. Our systems work well with different brands of PABX and telecom trunk (ISDN, SS7 ISUP and SIP trunk).